Customer Satisfaction: Are Your Customers Happy? There’s a big difference between thinking that your customers are happy and knowing that they are. But what is customer satisfaction, and how can you measure it in your own business? Further, how can you use the information about customer satisfaction to promote and support your business and its customers? Business owners who take an active role in their businesses almost always say, “I know when my customers are happy. I rarely get complaints.” The truth is that 70% of customers who are unhappy with a business never say a word. Nearly one-quarter of customers who are unhappy voice their complaints to the nearest employee – who may be motivated to handle customer complaints quietly, or bury them altogether. When everything is said and done, only 8% of customer complaints actually make it to the correct person or department. 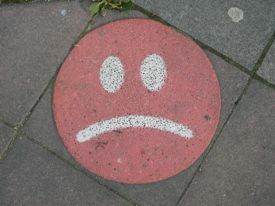 If most unhappy customers never say anything, how can you determine the number of unhappy customers you have? Statistically, 10 vocal customers are speaking on behalf of about 124 unhappy-but-mostly-anonymous customers. Of every 124 unhappy customers, 87 of them will never say a word to you or your employees, and 27 unhappy customers will talk to someone other than you. That might leave you thinking that your customer satisfaction is high because you’ve only encountered 10 unhappy customers, but you’re fooling yourself. Worse, you could be missing a great opportunity to improve your customer satisfaction rate and your business right along with it. One great tool for determining customer satisfaction is a customer satisfaction survey. There are a number of ways for businesses to collect customer satisfaction data. One inexpensive way involves setting up a web form on your business website that can receive customer satisfaction data. Provide your customers with a URL to visit, and you can begin collecting customer satisfaction data right away. Some retailers print a survey URL right on a customer’s receipt. This may help you collect data from customers who actually made a purchase from you, but it eliminates those customers who were so unhappy with your product selection or service that they left without buying anything. These truly unhappy customers can provide you with a very different view of customer satisfaction, and might even provide the biggest improvement opportunities. Customer satisfaction data can also tell you where your business is doing well, and let you know where you can capitalize in terms of your marketing efforts. If you would like more information about how your business can collect customer satisfaction data, and how you can put that data to work, please contact our Creative Director, Dave Ramsell or give Dave a call at (330) 243-0651 to set up a consultation.